Lunch boxes are coming out of cabinets all over the US getting ready for the first day of school. Moms are cringing at the thought of what to pack in those lunch boxes. Never fear! A Few Short Cuts has some awesome lunchbox ideas to save the day! Every Tuesday for the next few weeks I will be featuring some really fantastic lunch box food and ideas! Stuff your kids will go nuts for! You can see that pretzels, and carrots were on the menu today too. You could use Eggos, or any freezer waffle. I used gluten free Vans waffles, cause that is what was in my freezer. When it comes to lunches, try to think outside the box (no pun intended). It doesn’t have to be that different, just imaginative! Kids love to use there imaginations, and I think they like to see that their parents have one too! 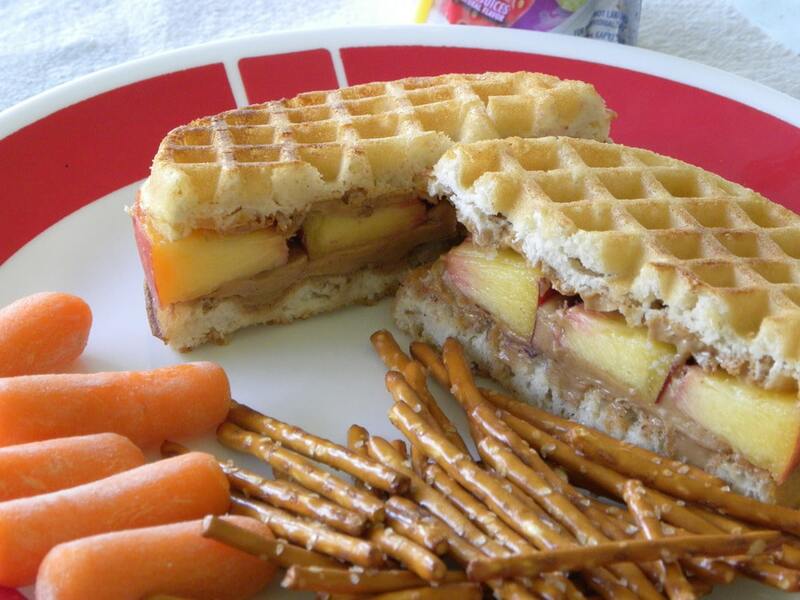 If you would like to see some more Back to School Lunch Box recipes and ideas here are a few. Thanks, Amanda. I’m trying this today! I love this idea. I’m making it a little more cost efficient by spending one weekend morning making homemade waffles and freezing them. 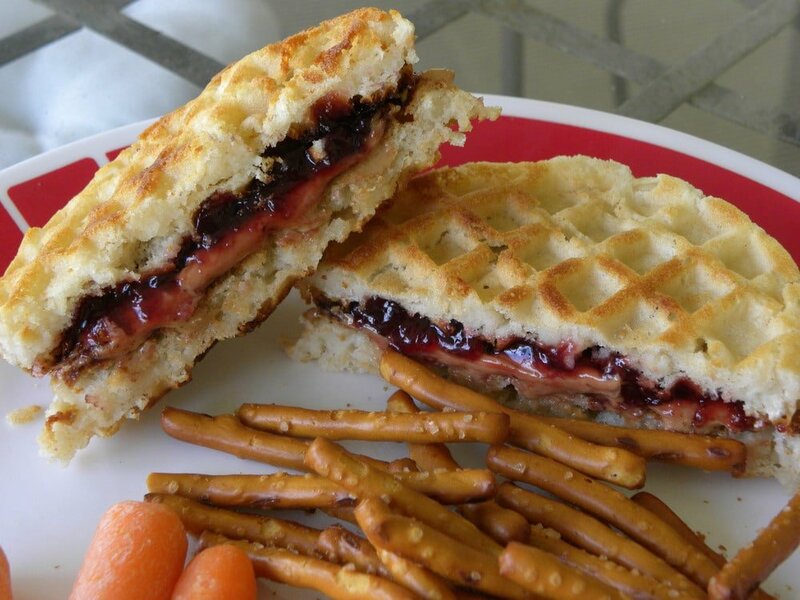 They toast just like Eggos and I can adjust the ingredients of the waffles to make them a bit more healthy. Hey, I love this idea! Would you like to do a guest post on my site? I’ve never thought of this, but am totally doing it soon!